Drying of wood - a complicated process. On the quality of industrial drying depends largely on the beauty and strength of future construction. Companies that are fluent in the technology, can be counted on the fingers. We offer three dry kilns for 75 cubes. Dry them quickly and efficiently. 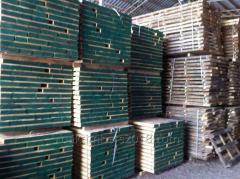 Unbelievable price on Wood drying in Vasilkov (Ukraine) company Timbers, ChP. Wide choice of quality services at affordable prices.